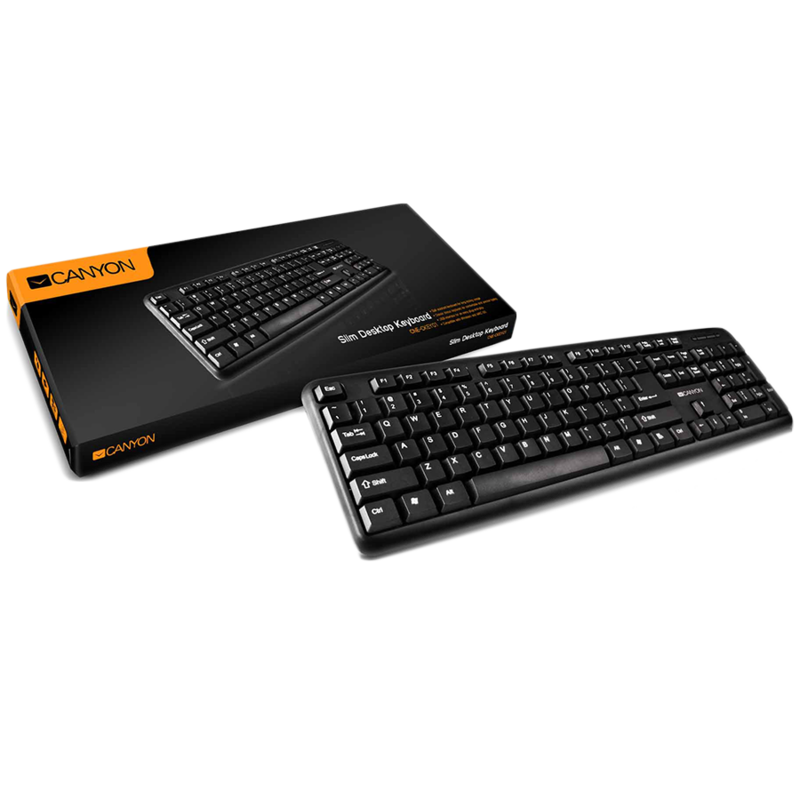 CANYON Keyboard CNE-CKEY01 (Wired USB, 104 keys, Black), Bulgarian от CANYON се предлага на цена от 11,89 лв.. 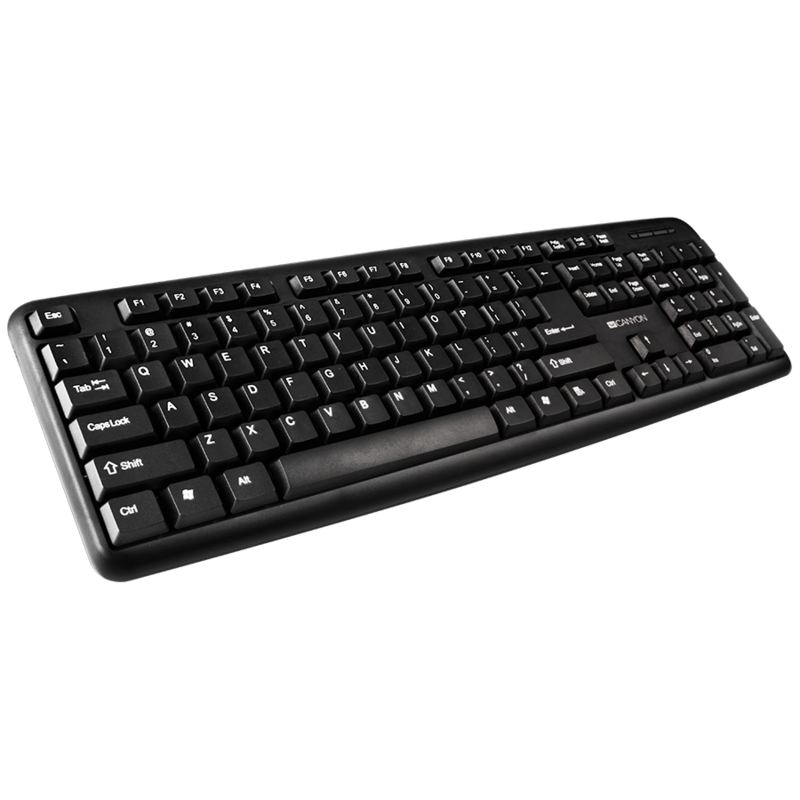 This simple and edgy model has been ergonomically designed to fit your computer desk and provide comfortable and soft-touch typing. This practical and reliable keyboard will work without problems even if you incidentally spill some liquid on it.